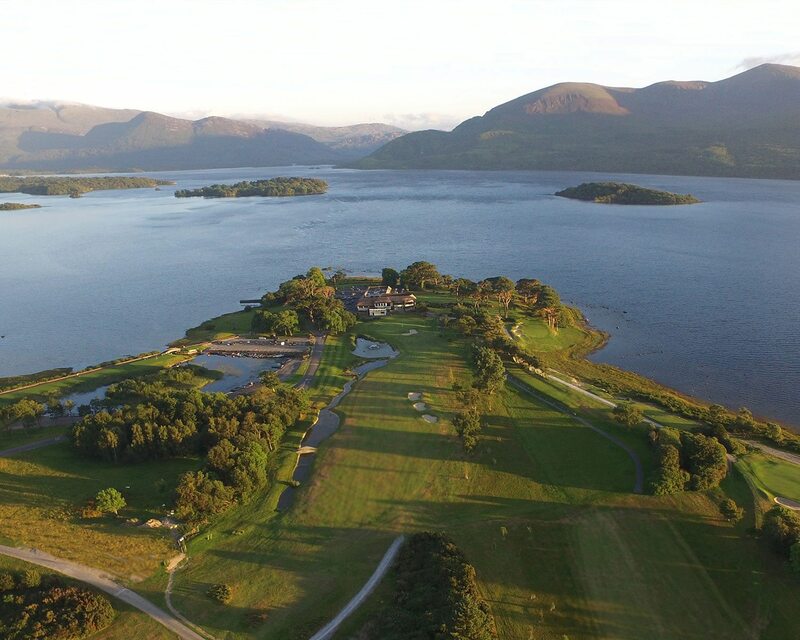 Killarney Golf Club, located on Lough Leane in Killarney is one of the most prestigious golf clubs in Ireland. 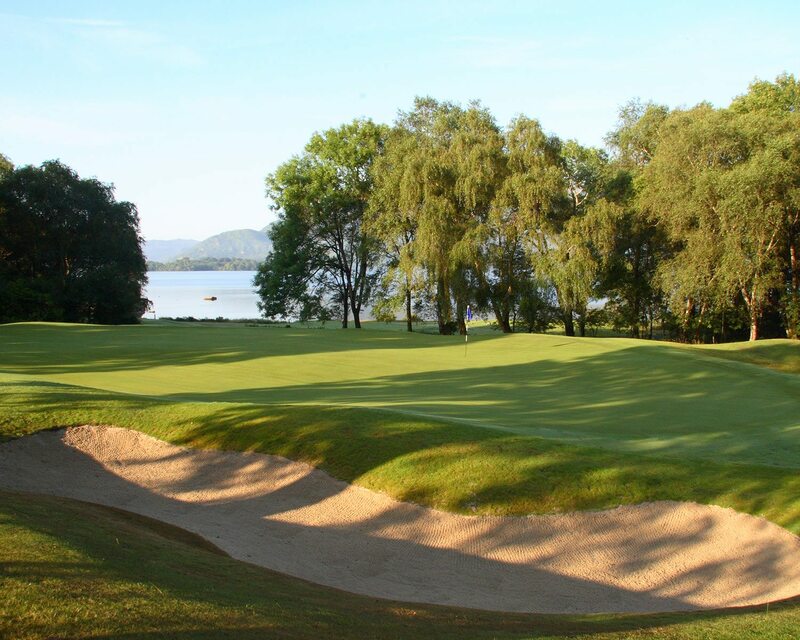 With 3 courses (Two 18-Hole & one 9-hole) and a golf academy, Killarney has everything for the discerning golfer. 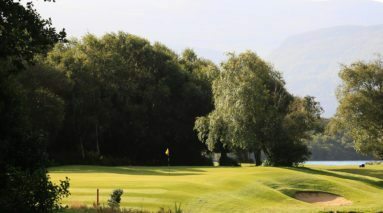 There’s no questioning that the Killen Course is the flagship course of the Killarney Golf Club. 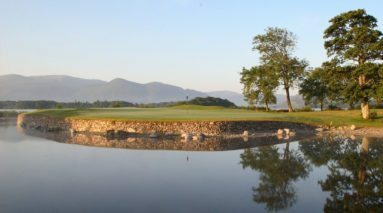 The course stretches 6593 metres and proves a challenge for long hitters with water hazards seeming problematic on almost every hole. 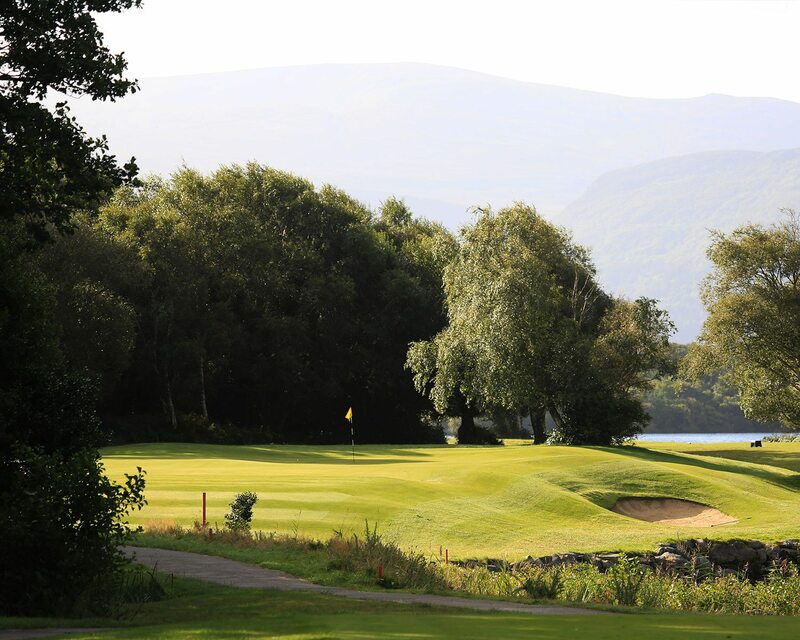 The lakes of Killarney and soaring Mc Gillycuddy Reeks act as a striking backdrop to any game, the view from hole ten is the most notable as you virtually play onto the lake. 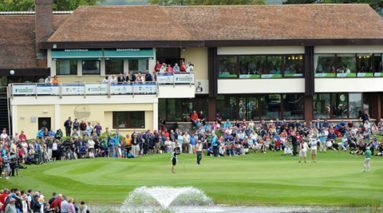 The course has hosted several high-profile competitions including the 1991, 1992, 2010 and 2011 Irish Opens as well as the 1996 Curtis Cup and 2002 European Solheim Cup. 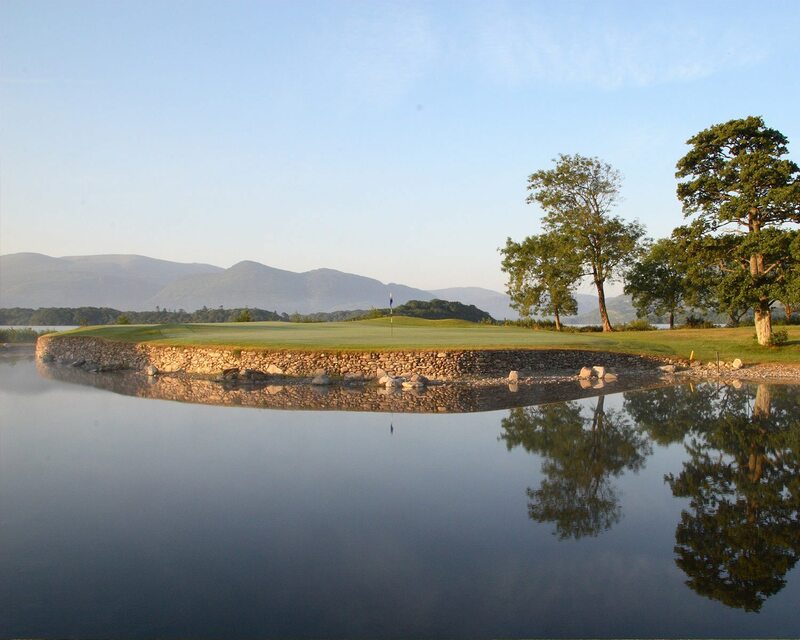 Mahony’s Point also offers spectacular views of the famous Killarney lakes overlooked by the McGillicuddy Reeks, the highest mountain range in Ireland. 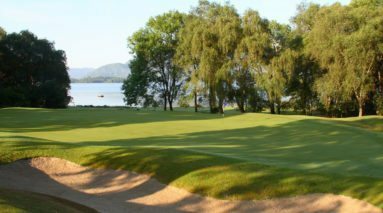 The final three holes are breathtaking as you play towards the lake with the 18th described as “one of the most memorable holes in golf”, a par three of nearly 200 yards that requires a huge carry across the corner of the lake. Discover for yourself why the 18th is the most photographed hole in the world and has become known as ‘Heaven’s Reflex’. If you’re looking for somewhere to wind down after your round of golf, there’s nowhere better than the Clubhouse Horseshoe Bar. Enjoy the spectacular panoramic 280º views and take in the majestic lakes and mountains. You are guaranteed a warm welcome from the bar manager and staff, who will gladly share stories from the club over the years. 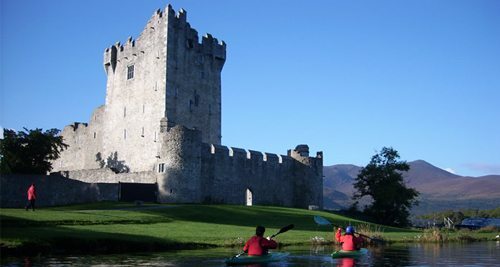 Killarney has countless, top quality hotels, all a short walk from the town centre. 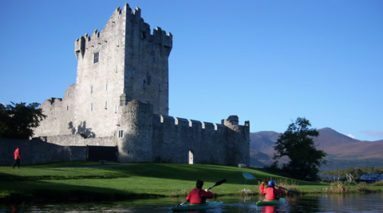 Whether you are looking for a luxurious 5* Hotel, a comfortable 4* Hotel, a friendly 3* Hotel or a welcoming Guest House, Killarney has plenty to offer. 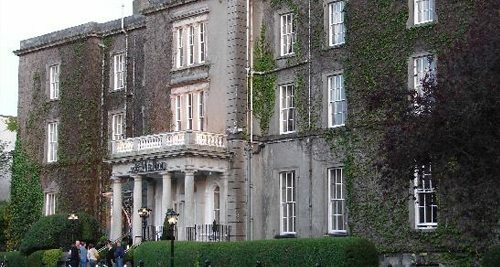 For 5* you can choose the centrally located Killarney Park Hotel while the Hotel Europe and Aghadoe Heights are both located outside the town. Killarney has about 50 pubs offering all types of entertainment so its easy find a place to suit your tastes. It also has good local bars where you can mingle easily with the ‘Locals’, so it’s no wonder that this little town in the south-west of Ireland is one of the top destinations in the country! 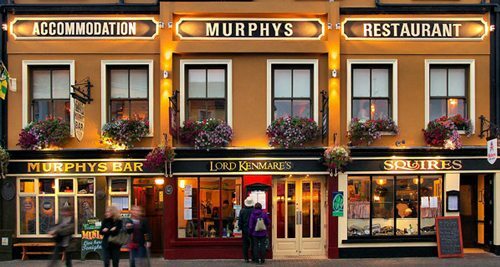 From traditional Irish pubs to lively disco bars, Killarney is sure to not disappoint. Some of note would be The Dunloe, Murphys, The Tatler Jack, O Connors Traditional Pub, O Donoghues and The Danny Man which all offer traditional Irish music. Then you have the Failte, Foleys and Reidys which offer Comtemporary music. You then have McSorleys, K town and The Grand that offer live bands and late night bars. Many local bars offer great sports viewing including McSweeney Arms and Speak Easy. 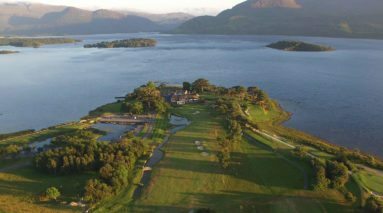 Other popular attractions in the area would be Muckross House, a magnificent Victorian mansion completed in 1843 located close to the eastern shore of Muckross Lake and set beneath the impressive backdrop of Torc and Mangerton Mountains. The Garden’s surrounding the House are famed for their beauty and can be visited at any time. The prime attraction for sightseeing in the region is the world renowned Ring of Kerry, with Killarney regarded as the ideal starting point. The Ring is a 179-km-long circular tourist route that you are best to travel clockwise from Killarney. It follows the N71 to Kenmare, then the N70 around the Iveragh Peninsula to Killorglin – passing through Sneem, Waterville, Cahersiveen, and Glenbeigh – before returning to Killarney via the N72.